Arsenal legend Dennis Bergkamp has been sacked by his former Gunners team-mate Marc Overmars. 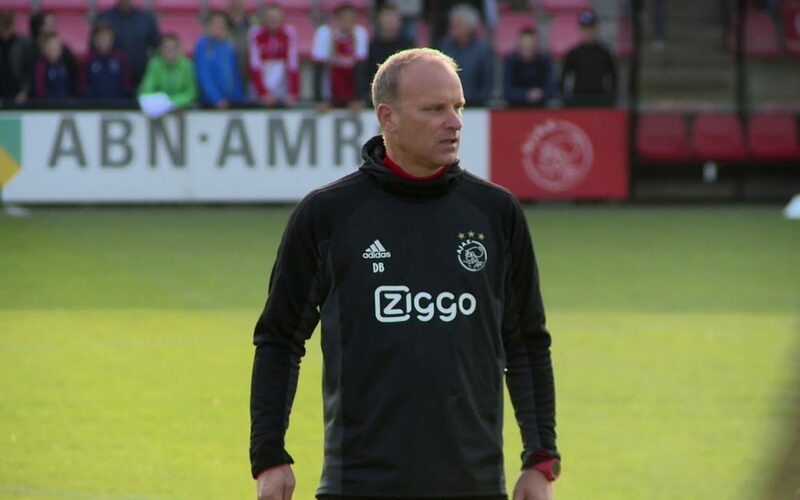 Bergkamp had been working at Ajax as assistant manager to head coach Marcel Keizer. But the Dutch giants’ technical director Overmars and general manager Edwin van der Sar today decided to fire Keizer and Bergkamp following a poor start to the season. Ajax are currently second in the league. They are without European football after being knocked out of the Champions League and Europa League in the preliminary rounds. A defeat on penalties to FC Twente in the Dutch Cup on Wednesday evening sealed Keizer and Bergkamp’s fate. Overmars and former Manchester United keeper Van der Sar have temporarily swapped Arsenal connections for Chelsea and Middlesbrough ones. Former Boro and Barcelona defender Michael Reiziger has been promoted from his role as reserve team boss to interim first team coach. Ex-Chelsea man Winston Bogarde is his assistant.